News from Onduo's virtual diabetes clinic, Klue, SugarMate, and Diabits apps, Tidepool Loop, and more! 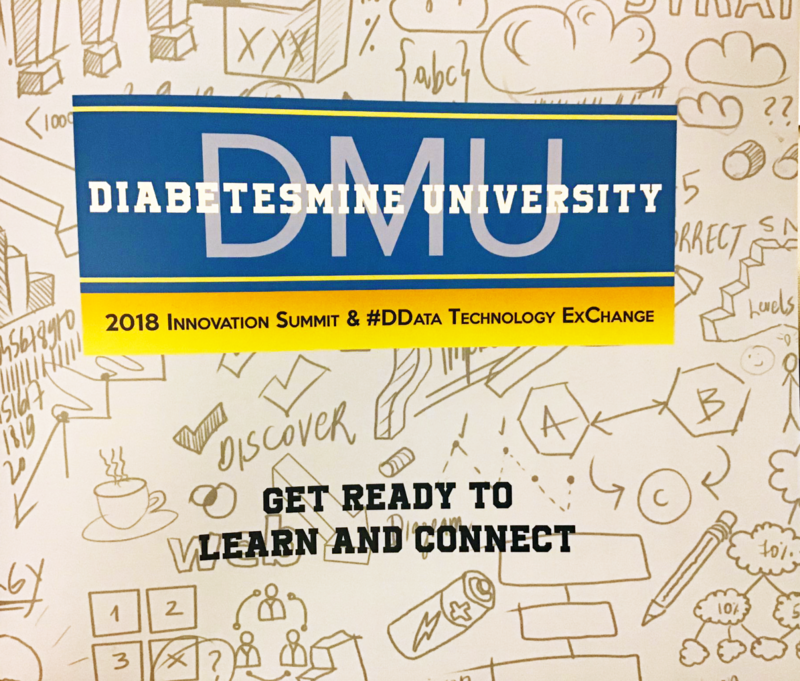 diaTribe was on the ground at 2018 DiabetesMine Innovation Summit! The agenda featured a handful of exciting startups and annual updates from big diabetes players. Here are several of the top highlights! Onduo plans for national, “full scale” launch of its virtual diabetes clinic in 2019. 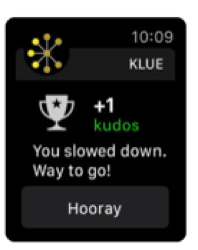 Klue, an Apple Watch app that automatically detects meal start and eating speed, now features an automatic bolus reminder. SugarMate - a companion app for Dexcom CGM, and soon, FreeStyle Libre - offers CGM enhancements not available in the current Dexcom app. DiaBits, another CGM companion app, offers 60-minute forward-looking CGM predictions. Omnipod is the first pump partner for Tidepool Loop. Dance Biopharm shares details on its inhaled (liquid) insulin and connected inhaler. Onduo, an organization coming out of a partnership between Sanofi and Alphabet’s Verily, will complete the pilot of its virtual diabetes clinic for people with type 2 diabetes in South Carolina, Arkansas, and Georgia by the end of 2018, aiming to go "full scale" with payers, employers, and health systems nationally in 2019. This is very exciting. At DiabetesMine, Onduo leaders described the effectiveness of the program in A1C reduction; noting that participants who had an A1C greater than 9% regularly saw drops in A1C greater than 2% (the baseline was not shared), and those who had high baseline A1C and were given real-time continuous glucose monitors (CGM) for brief periods of time often saw A1C drops greater than 3%! Although detailed data was not shared, it sounds like the time spent in range was meaningful. Notably, in its broad launch, Onduo intends to keep its program affordable for users; there was no co-pay in the 2018 pilot. This makes sense to us as a partner of Sanofi – we were impressed recently when Sanofi moved to make all its insulins available for $99/bottle if patients could not qualify for traditional patient assistance programs. See more here about how to get even “next-generation” Toujeo available for a lower cost, as well as Lantus and Admelog, Sanofi’s new rapid acting insulin. Of course, we also encourage patients in the US to talk to their healthcare providers about how to qualify for free drugs if they do not have access otherwise. Klue, an Apple Watch app for automatically detecting meal start and eating speed without user intervention, announced a new diabetes-focused feature: an automatic bolus reminder. 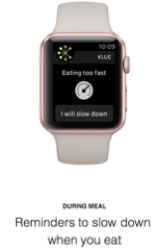 Klue uses the motion sensors on the Apple Watch to detect movement and determine when someone starts eating and how fast. 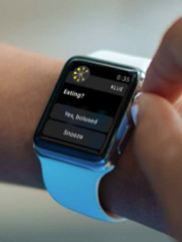 The new upcoming feature will recognize when a meal is starting, pulling up the Apple Watch notification pictured below: "Eating?" "Yes, bolused"; "Snooze"; "Hypo." Stanford Professor of Pediatrics Dr. Bruce Buckingham came on stage after the pitch with tremendous enthusiasm – he had used the Klue app on his Apple Watch over the past week and reported that it had "really captured almost all" of his meals. He exclaimed that Klue "is the real key for full closed loop," as the Watch app could detect a meal and begin to increase insulin accordingly – all without the user telling the system they are eating. The current version of Klue on the Apple App Store provides meal and water tracking and gives real-time feedback to slow down eating - clear potential for weight loss and slowing down eating to give insulin boluses time to catch up. Excitement abounds on this front! SugarMate is a companion app for Dexcom CGMs, and soon, FreeStyle Libre. The app is currently available on Apple iOS, on the web, and as a Mac app, offering CGM enhancements not available in the current Dexcom app. Users can allow the app to call their phone (or a loved ones') in cases of low blood sugar (see picture below). The app also has Alexa/Siri integration ("Siri: What's my blood sugar?"). SugarMate currently pulls CGM data in near-real-time from Dexcom Share and Nightscout. SugarMate is currently free in the Apple App Store. DiaBits, another DIY CGM companion app, offers CGM predictions 60 minutes ahead based on Dexcom CGM data, Apple Watch activity data, and entered food/insulin data. The app is free for a month, at which point it requires a paid subscription ($8+ per month). Get more information on the company’s website. Tidepool CEO Mr. Howard Look shared the news that Omnipod is the first pump partner for Tidepool Loop. 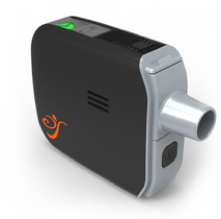 If approved, the on-body pod would communicate directly with Tidepool’s Loop app (via Bluetooth) and enable hybrid closed loop from a user’s own iPhone. More to come on this announcement soon! Dance Biopharm's Dr. John Patton shared details on the company's inhaled (liquid) insulin and connected inhaler, which is still in trials and not yet available. This presentation showed Dance's "pure," "preservative free," "no cough," dose-adjustable inhaled liquid insulin formulation delivered in a connected, electronic inhaler. The insulin has a slightly faster onset than injected mealtime insulin (though slower than Afrezza). The insulin is reported to stay in your body longer, providing some "basal" coverage too. Though the Dance inhaler currently requires the possibly inconvenient use of an eyedropper to load each dose (the company says it is working to incorporate the insulin dispenser into the device), we are glad to see the focus on connectivity and no-needle insulin delivery. The idea of inhaled insulin is very exciting – in the US alone, 45% of people with type 2 diabetes are not at their A1C targets and less than 30% take insulin. While we are not suggesting that 100% of this group should be on insulin, it’s important to have easier-to-use insulin! Currently, Afrezza is the only inhaled insulin that has been approved by the FDA.